Becoming a beloved chef is a tricky business. Especially now that’s it has become such a sought after dream. Think of it: no matter where on the map, kids have gone from wanting to become the powerful fireman to coveting a very different Eldorado: one made of sparkling kitchens, fine gestures and food markets. So when it comes to making a difference, the best culinary schools don’t just give some a proper head start, they shape the extraordinary. The Culinary Institute of America is renowned for its regular delivery of both local and worldwide famous cooks. Heard of Yoni Levy, Brandon Rice, or Stephanie Jackson? They went there. 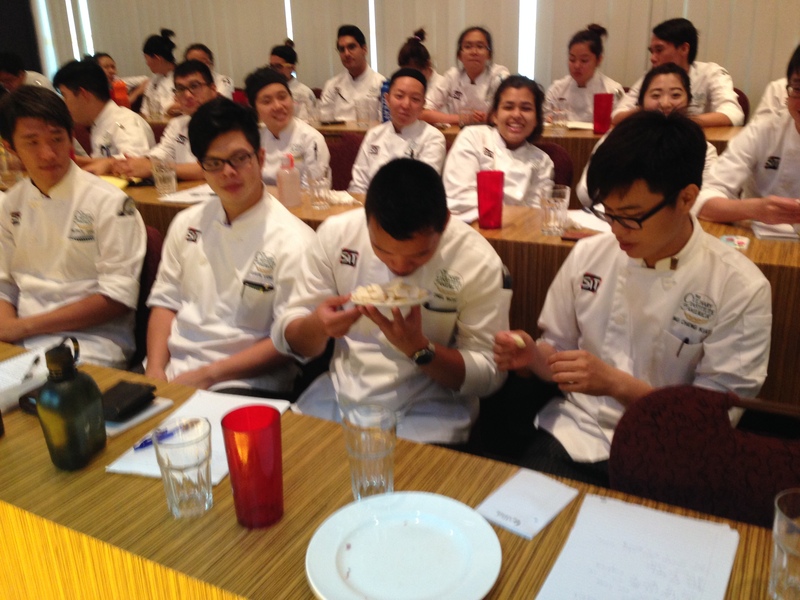 In Singapore, the Institute lives up to its reputation with knife-sharp programs and rigorous skill honing. And among recipes, cooking techniques, foodservice management and other mouth-oriented classes stands global food exploration. So when the head of CIA Singapore, Eve Felder, offered us to run a workshop on Corsican artisanal products, we didn’t think twice. We grabbed flavorsome cheeses, tasty spreads, the best cured meat ever and a couple nice drinks and ran there. The chestnut jam was a hit, that’s no wonder. The delicatessen too, and its success warmed our heart given the absolute patience and love the producer, Dumè Cesari, puts in his work. Of course we brought the very Corsican arbutus berries and myrtle as well and both were a discovery to our students. But dare we say we were surprised when they compared the smell of our beloved Fium’Orbu goat cheese (Ottavi) to the famously revolting one of the durian? Maybe not. In any case, they liked it. They even loved it. So will tomorrows chefs dare serve such a smelly product? Keep an eye open and let’s see! 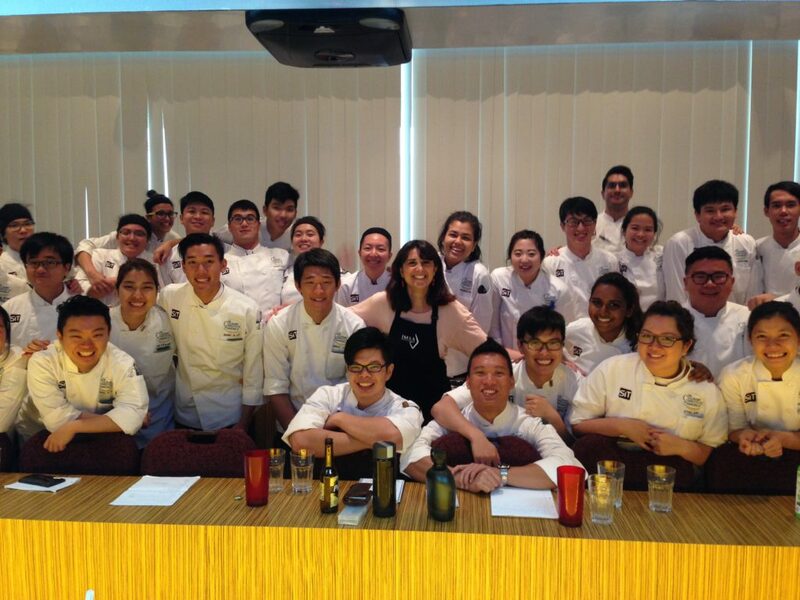 We take this opportunity to thank Eve Felder and Gypsy Gifford for having us at the Culinary Institute of America Singapore as well as all the students. 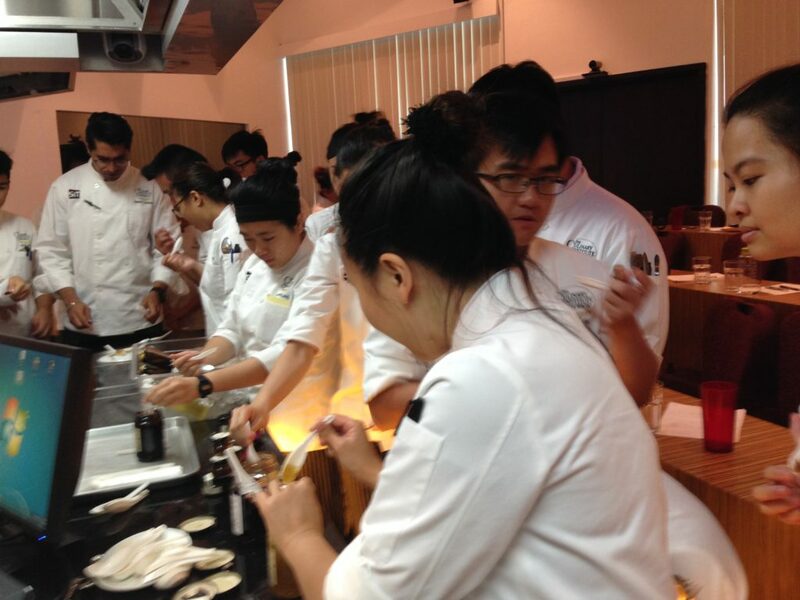 Look no further for tomorrow’s chefs, they are all in one place!